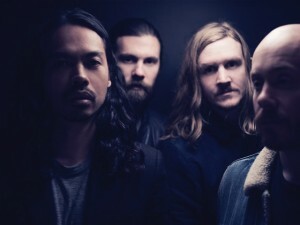 Formed in 2005, The Temper Trap is made up of Dougy Mandagi on vocals, Jonathon Aherne on bass guitar, Toby Dundas on drums and Joseph Greer on keyboards and guitar. They released their debut album “Conditions” in 2009. 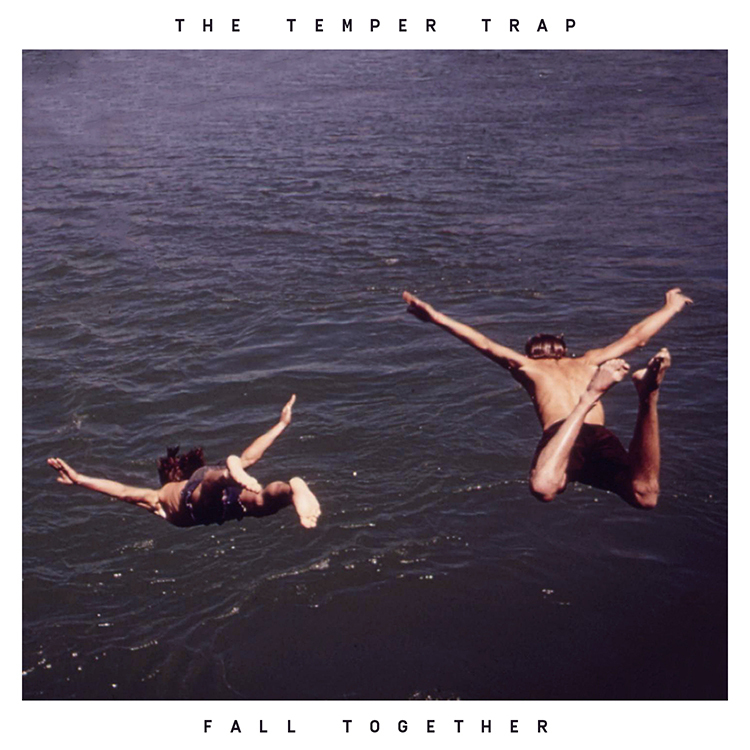 It’s lead single, “Sweet Disposition“, hit several charts and was featured in the Zooey Deschanel and Joseph Gordon-Levitt film, “500 Days of Summer.” Their eponymous second album was released in late May/early June 2012 via Glassnote Records. The album won the band Best Rock Album and they also won Best Group at the 2012 ARIA Awards. “The new album is filled with hope, raw energy and a passion that brought us back to the early days,” drummer/vocalist Toby Dundas. Thanks so much for your time! How’s 2016 been treating you all so far? What were some of the highlights of 2015 for your music? 2015 was all about finishing the recording process for album 3. It took us from our studio in London to Montreal and back to Australia. So far 2016 has been great. It’s awesome to finally share new music with the fans and we are about to play the first shows for ‘Thick As Thieves’. When you first started The Temper Trap back in 2005, did you ever think that you would have the following that you do today? I don’t think we could have imagined back then, practicing in a tiny rehearsal room that our music would have connected with so many people. We’ve had an amazing ride over the past 10+ years. In June (next week), you will be releasing your third solo studio album via Glassnote Records. I’ve read that you feel like it brought you back to your early days? How so exactly? There was a certain energy in the songs from the first record and it was really guitar focused. We took a slightly different direction with the second but when we were writing the new album we wanted to capture some of the rawness and bring the guitars back in the spotlight. Over the writing period that scope broadened out but I feel like we were able to harness the spirit of the early days of the band. 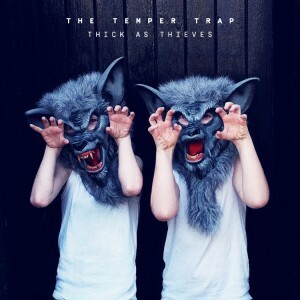 “Thick As Thieves” is your first release in 4 years. Have you been working on this collection the whole time? What else have you all been doing? Well, touring the last album took out a big chunk of time, we did support a tour with Coldplay, played with The Rolling Stones as well as our own shows all over the world. When we returned to London we had our own studio space built and that’s when the writing process really got started. We’re definitely not fast when it comes to putting albums together but we hope that when the fans get to hear it all it’ll be worth the wait. How do you think your sound has grown since your 2008 hit single “Sweet Dispostion”? How do you think the band dynamics have changed over the years? The dynamic has definitely changed. We started off as a 4 piece and then brought on Joseph when we toured Conditions and then went back to 4 when Lorenzo left so just that personal change gives a different dynamic. Sonically, I think this album brings back some of the rawness and energy of the first album. Let’s talk about the first single you’ve released from “Thick As Thieves”, “Fall Together.” Where did the inspiration for it come from? Why did you decide to collaborate with an outside writer for this track? Dougy worked on this track with Justin Parker and Rich Cooper before bringing it to the band to give it that Temper Trap DNA. It’s gotta really great musical energy and a rousing chorus and it felt like a good way to kick off the campaign. “Thick As Thieves” marks the first time that you’ve worked with outside writers. Why is that? What was that process like for you? Overall that’s been a good experience. Collaborating with other people can redirect and open your eyes to new songwriting techniques and give you a different perspective on things. The challenge is to make sure that any songs maintain the heart and soul of The Temper Trap. You’ve got quite a big international tour ahead of you. Where are you excited to play? Are there any venues on the list that you’ve never played at before? Right now we’re excited to play everywhere. It’s been a long time between our tours so it’s great to reconnect with our fans. We’re revisiting a lot of places in the first stages of the tour but we’d love to play shows in places we’ve never been like India, China, Russia, and South Africa as the tour progresses. What do you think is the best and most challenging part about going out on one of these long tours? Definitely being away from family and friends. There’s so much great stuff about being on tour but missing your loved ones is hard. The best part is definitely playing the shows. Our fans are really important to us and the connection and energy we get from the audience is what drives us.